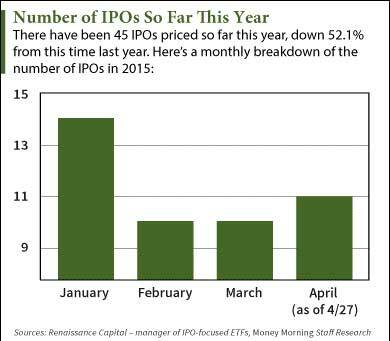 There are six new IPOs this week on the April IPO calendar. According to Renaissance Capital, a manager of IPO-focused ETFs, they're expected to raise a combined $875 million. Last week saw only two out of three scheduled IPOs hit the market. Both of those deals disappointed.